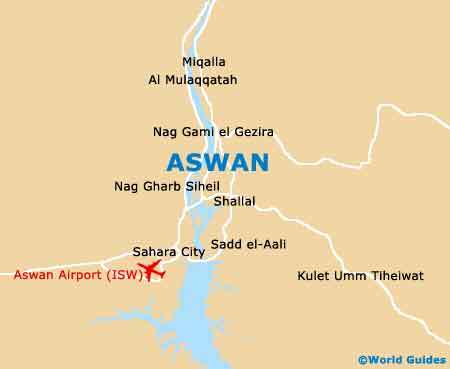 Many people visiting Aswan will likely stay for a night or two, whether that is on board their cruise ship, or at one of the city's many hotels. 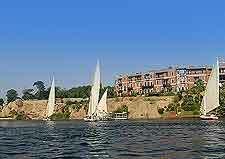 Accommodation is Aswan is quite plentiful, with a number of hotels boasting commanding vistas across the River Nile. The high season tend to fall between October and April, with hotels being at their most pricey during December and January. The Basma Hotel on El Fanadek Street is one such hotel with exceptional Nile Views and more than 200 guest rooms in total, offering comfortable accommodation. Worth noting, those lodging at Basma Hotel will also find that it is conveniently close to the Nubian Museum, should you wish to brush up on your local Egyptian culture. Other popular hotels of note include the centrally located Philae Hotel on the Cornich El Nile Street, which comes complete with its very own restaurant (The Scarabee) and many rooms with riverfront balconies. Close by and also located on the Cornich El Nile, the Isis Corniche Hotel boats a large open-air swimming pool, terrace area and many nearby shops. 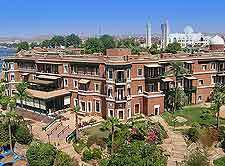 Other accommodation options worth considering in Aswan include the Cleopatra Hotel on Saad Zaghloul Street, the Pyramisa Isis Corniche on Giza Street, and the Hotel New Cataract on Abtal El Tahrir Street, which is located directly opposite the Elephantine Island. For those looking to stay on Elephantine Island itself, in the very middle of the River Nile, the Moevenpick Resort (Mövenpick) provides some of the best accommodation on the island and is home to the aptly named Panorama Bar, which resides at the top of a tall tower. 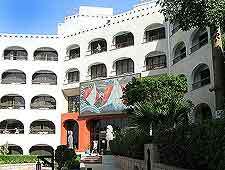 Tourists may well like to consider lodging at the Old Cataract Hotel on Abtal El Tahrir Street due to its very famous history, for it is here than Agatha Christie is believed to have written her very famous murder mystery, 'Death on the Nile'. Afternoon tea at the Old Cataract is a must, with English-style sandwiches and pasties being served on a manicured lawn.